Charlene Crowell is a communications manager with the Center for Responsible Lending. She can be reached at Charlene.crowell@responsiblelending.org. As the Senate Banking Committee turns its attention to reform the nation’s secondary mortgage market, civil rights leaders recently spoke in a strong and united voice. For these national organizations, the housing finance system must embrace—not abandon—its obligation to provide broad access and affordability in mortgage lending. In a June 6 letter to Committee Chairman and Ranking Member, Senators Mike Crapo (R-Idaho) and Sherrod Brown (D-Ohio), were advised that any emerging legislation for the secondary housing finance market must set in place guidelines to protect against unlawful discrimination. A second and equally important requirement is for all credit-worthy borrowers have access to the mortgage credit they deserve. Signing the letter was a broad coalition of activists: The Leadership Conference on Civil and Human Rights, NAACP, National Urban League, National Council of La Raza, National Coalition for Asian Pacific American Community Development, National Fair Housing Alliance, National Community Reinvestment Coalition, and the Center for Responsible Lending (CRL). The current public policy debate on the secondary mortgage market has its roots in the foreclosure crisis that began in 2007. Lax federal regulation and excessive risk-taking by Wall Street firms led to a housing boom where investors chased profits on unsustainable mortgage loans. Fannie Mae and Freddie Mac, two government-sponsored enterprises also known as GSEs, followed that market trend, hoping to capture profits for their investors. This led to them facing losses that resulted in their being placed into conservatorship by the federal government. Like many other private firms, the GSEs received a financial bailout from the U.S. Treasury Department to avoid a complete market meltdown. Eventually and as authorized by Congress in the Troubled Asset Relief Program, or TARP, a $187 billion taxpayer investment saved the GSEs out of the total of $698 billion in rescue funds. Even today, the GSEs remain under conservatorship. But with the housing market stabilized, multiple calls have urged legislative reform of Fannie and Freddie, despite some reforms already enacted. For communities of color, the next decade is projected to demographically change to majority minority. According to the Joint Center for Housing Studies at Harvard University, seven out of every 10 new households formed will be families of color. In addition, the future of Fannie Mae and Freddie Mac is tied to several statutory mandates that include requirements for the GSEs to share responsibility in reaching affordable housing goals, as well as access to credit that is free from discrimination. In a broad sense, today’s public policy housing debate is also an opportunity to learn from the mistakes of the past and craft new policies that will avoid their recurrence. “Because the mortgage giants Fannie Mae and Freddie Mac have a special relationship with the federal government, they also have special responsibilities to the public as well,” said Vanita Gupta, president and CEO of The Leadership Conference on Civil and Human Rights. As the housing market continues to grapple with historical discrimination that resulted in persistent and growing racial wealth gaps, it must also adapt to new 21st century challenges as well. Many millennials are shunning or delaying homeownership due to heavy student debt. Future policies must find a way to serve a diverse marketplace and protect taxpayers from more financial bailouts. 1. Enforce the GSEs obligations that guarantee sustainable access to credit and affordable housing – especially for low-to-moderate income consumers living in underserved communities. These are the same consumers who have been left out of the nation’s financial recovery. 2. Authorize the recapitalization of both Fannie Mae and Freddie Mac with guidelines that allow a reasonable economic return. 3. Curb the practice of added costs to mortgage loan originations, fees that add costs to the mortgage origination costs known as loan level price adjustments or LLPAs. These fees lock out 5.2 million potential borrowers due to unnecessarily tight credit restrictions. 4. Fully fund HUD’s Housing Trust Fund. “Access and affordability are central tenants of the nation’s housing finance system. Two others are safety and soundness,” said Nikitra Bailey, CRL Executive Vice President. “Any GSE reform must protect affordable housing goals and advance the GSEs’ duty to serve. All credit-worthy consumers in every region of the nation should have a real opportunity to pursue their homeownership dreams. PHOTO CAPTION: Charlene Crowell says that today’s public policy housing debate is also an opportunity to learn from the mistakes of the past and craft new policies. 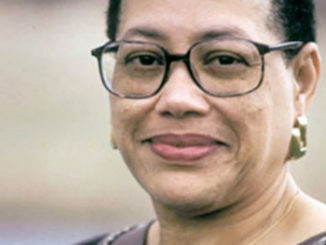 NNPA Newswire Columnist and Communications Deputy Director for the Center for Responsible Lending Charlene Crowell says that housing market must adapt to 21st century challenges and millennials.